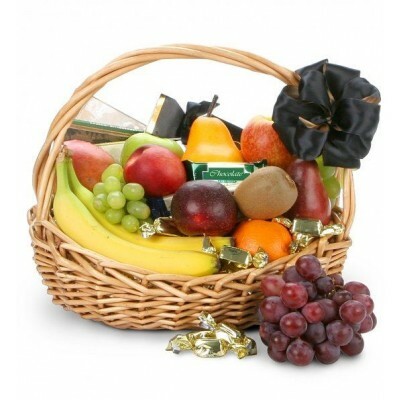 Irresistible gift basket with 10 fresh fruits and 300g of good quality chocolates. A lover of fruits who cannot resist the temptation of a delicious chocolate will love with this gift. 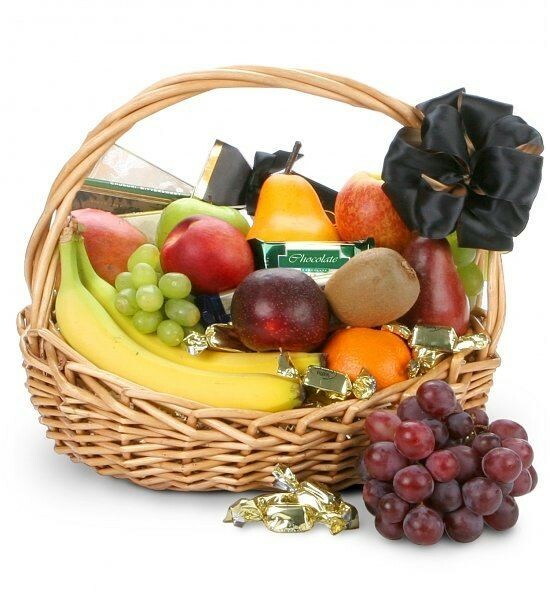 The fruit basket with chocolates consists of a range of 10 fresh fruits of the season and 300g of the most delicious chocolates. Usually a small box of Ferrero Rocher and a good quality chocolate bar are used. Beautiful wrapping is used.